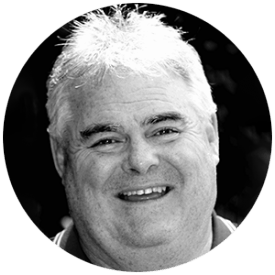 Scott brings extensive experience in business development (sales), management and organization development in his role as Director, The Ariel Group Australia. In collaboration with George Abramowicz and André Alphonso, the three of them were able to establish The Ariel Group’s Australian business. Scott is responsible for the strategic account and relationship management for a wide variety of clients from within the corporate and key industry sectors for the business. With a passion for both learning and serving his customers, he enjoys working collaboratively to help organizations implement their business strategies and engage their employees. Seasoned Sales Professional. Strong Communicator. Authentic. Storyteller. Engaging. Coach. Fun. Real. Creative. Problem Solver. People Focused. Scott leverages more than 25 years of professional experience with a varied background that includes sales management, sales, organizational development, and strategic partnerships through his experience in the Telecommunications and Management Consulting sectors. He uses this experience and combines it with his expertise in learning solutions design to provide high-value customized solutions for his clients. Prior to his work with The Ariel Group, Scott worked with The Forum Corporation and served as a senior consultant with Telstra.